8 Limbs has four Seattle neighborhood locations, each with a full schedule of classes. At 8 Limbs, you will find Hatha and Flow/Vinyasa Yoga classes that are instructional, insightful, and appropriate to your level of yoga experience. Our experienced and highly trained instructors bring their own expertise and passion to their classes. Interested in trying out a series of classes? Check out our 6-week Series offerings . In the event of inclement weather or when a teacher cannot make it to the studio, 8 Limbs will do its best to find a sub that can get to the studio safely or will mark the class canceled at the earliest possible convenience. Have feedback? 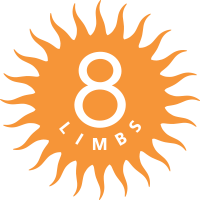 8 Limbs is committed to providing a learning environment for teachers & staff. Please use this link to complete a brief anonymous survey. The Sanskrit word “Hatha” relates to the use of force. Hatha Yoga refers to the use of yoga postures to strengthen and balance the body. In our hatha classes there will be minimal use of flow and more of a focus on the cultivation of steadiness and ease. These classes are a great option for those wanting to work on refining and/or holding postures. Classes marked as “Flow” will move with the breath from pose to pose and have a more dynamic pace (also referred to as Vinyasa yoga). Flow classes are geared towards students looking for a stronger, more movement-based practice and are a good option for intermediate to advanced practitioners with some previous yoga experience. All Levels classes embrace the range of levels, with modifications and opportunities to intensify or simplify as needed. Level I classes at 8 Limbs are ongoing classes for the Beginning or Continuing student who wants to focus on learning the basics of yoga postures, breathing practices, and concepts. We recommend at least one Intro to Hatha Yoga to prepare you for these classes. Level II classes are for the intermediate yoga student. They are to both solidify one's understanding and push one's limits physically, mentally, and energetically. Classes marked "Flow" will move with the breath from pose to pose and have a more dynamic pace (also known as Vinyasa Yoga). Level II-III classes are for the strong intermediate to advanced yoga student, as advanced postures, breathing practices, concepts, and meditation are introduced. Please have at least 1 year of consistent and regular yoga practice before attending Level II-III classes. Classes marked "Flow" will move with the breath from pose to pose and have a more dynamic pace (also known as Vinyasa Yoga). These classes offer a spiritually-oriented flow practice that help students connect with their own true divine nature. Gentle and restorative classes offer opportunities to practice with less exertion or movement. Click Learn More for class descriptions. This widely utilized contemplative practice supports our mental, physical and emotional bodies. Learn to focus your mind and connect to presence. Yin yoga offers a focused practice of long holds for deep stretching of the muscles and fascia. Our 50+ classes are geared towards older students and those with chronic health issues looking to stay connected to their bodies and their yoga practice. Yoga Tune Up® classes are geared towards students wanting a more therapeutic, moderate yoga class, focused on strength building and fascia release. 8 Limbs is proud to offer a comprehensive and accessible perinatal program to support you during pregnancy, while preparing for birth, and postpartum. Practice the art of relaxation through breath awareness, reduce physical tension, and safely prepare for labor. Classes are ongoing and may be started at anytime. Prenatal students should eat something light one hour before class and bring a snack. In a supportive environment with other moms, this Hatha style yoga class works gently to regain abdominal tone and body strength, while also addressing pain in the shoulders, back, and pelvis. Open to all levels of practitioner. Dads, partners, and newborns welcome!